The best flavor is obtained if you use freshly brewed espresso and vanilla beans instead of vanilla powder or extract. You can substitute 1 cup of espresso for the 1 cup of water and instant coffee granules in the following recipes. Homemade coffee liqueurs should be served with ice or used for making cocktails. 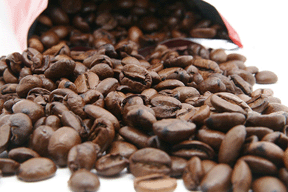 Make a fresh brew of espresso coffee or strong coffee of a similar type. Add the sugar. After cooling, add the vanilla bean and vodka. Transfer to a bottle. After 2-4 weeks strain, remove the vanilla bean and transfer to a new bottle. Dissolve the instant coffee in 1 cup of hot water. Dissolve the sugar, and add vodka. Also add the vanilla. If you are using a vanilla bean, remove it after 2-4 weeks. Stir the water, sugar, and instant coffee together in a saucepan over high heat until the sugar dissolves and the mixture boils. Remove from the heat, and cool 30 to 45 minutes. Stir in the rum and vanilla. Using a funnel, pour into 3 clean wine bottles. Seal, and store in a dark, cool place at least 2 weeks before drinking. Boil 2 cups water and sugar for 5 minutes. Add coffee and 1/2 cup water. Let cool. Add brandy and vanilla bean. Let set for at least 6 days. Remove vanilla bean after 2-4 weeks.